Overall, the average mountain bike goes a speed of 30.53 miles per hour or 49.1km. This number is based on speeds I have gotten from thirty riders riding on road, off road, downhill, uphill, and single track. All things being equal in terms of the bike being used this average speed can vary based on the riders skill and strength. The majority of the riders were intermediate to advanced in experience. Another way that the rate can vary is whether or not the rider was racing or riding for fun. Of course the bike who was racing will have a higher average speed than someone having fun on their bike. 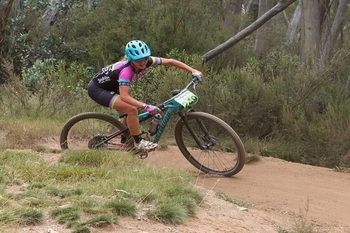 The majority of the mountain bikers were racing which is good because this gives us a better indication of how fast they were going on average. Based on 13 riders the average speed is 9.71mph or 15.6km. Overall the trails were flat with some hills. The slowest speed was 7mph and the fastest was 13mph. Some riders explained that they slowed down at certain points on the path because of higher mud levels. A few riders explained that their pace was due to their lack of or increased level of fitness depending on their experience. Others talked about their technical ability on the trail as a factor in their being able to maintain good speed. The average speed you can go on this type of bike is 32.35mph or 52.0km. This is when you are riding on a flat paved road. This was for at least 10 minutes of riding. The top speed was 38.5mph and the lowest speed was 27.3mph. The riders seemed to be pedaling pretty easily in top gear throughout the ride. The speed between the high and the low went up and down smoothly. There weren’t any quick bursts of speed or drastic reductions in the pace. After researching 8 different riders the average came to 44.8mph or 72.0km. The riders road on road and off road downhill. The slowest was 37.2mph which was going down a slight decline. The fastest was 55mph which was going down a fireroad. There are many variables which can contribute to the rate you go downhill causing you to go faster or slower. Most significant is how steep the hill is going down. If there are no obstacles you will go faster. If you run into a rock garden you will slow down. Jumps and drop offs will help to increase your speed if you can handle them. If the trail is narrow with turns then you will need to slow down to avoid possibly crashing. But that is the fun and excitement of it. Right. This mtb race took place on a hard dirt trail. The majority of the time the path was flat. Sometimes there was grass on the trail. The average speed was 18.6mph or 30km. The fastest the riders rode was 26.7mph, but that was only achieved at the beginning of the race. There really was not a slowest speed as they were able to keep up their tempo throughout the race. Only sometimes did the pace dip lower to around 16.1mph and this was because of rider traffic among themselves. One of the easiest ways to increase your average speed is for you to lose weight. This is especially true when climbing up a hill. If you lost 10 pounds you could potentially save 17 seconds going up a half-mile hill. Your body position is very important especially on flat and downhill trails. Try bending your elbows so they are at a 90 degree angle. You could possibly save 14% in power because of less wind resistance, and thus increase your average speed overall. Change the tires on your bike so they have a lower resistance to rolling. If you are doing more xc biking where speed is the goal then this is a good idea. The trails are normally hard dirt flat paths. Make your bike more aerodynamic in terms of the handlebars, fork, frame, your helmet, and the clothing you wear while riding. Start training so you can increase your functional threshold power. This is the maximum power you can hold cycling for 1 hour. This will have the most effect on increasing how fast you go. Do interval training, start by riding faster than your average speed for as long as you can. Then take a rest and do the same thing again. Eventually your overall speed will increase. Generally the average speed difference is a road bike goes 5 to 10 mph faster than a mountain bike on a flat surface. Some reasons why are, the road bike weighs less, and there is less roll resistance because the tires are thinner and have more pressure. You can go a longer distances faster with less effort on a road bike. Plus as you ride the body position is more aerodynamic. It is easier to lean your torso forward and position your elbows at a 90 degree angle. Going downhill a mountain bike can go 31 to 37mph whereas a road bike can go 43 to 49mph which is a difference averaging around 12.4 mph. These rates depend a lot on how steep the hill is. Both bikes can go faster on a very steep hill. In short yes, because the fitness of the rider does make a difference. If a mountain biker has trained well he can keep pace with the average speed of the road biker even though he may have to work harder at it. If the road bikers FTP, functional threshold power is not as good as the mountain bikers then the mountain biker can even pass by the road biker on road. 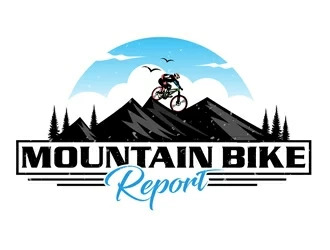 But it will not work in reverse because a road bike is just not made for off road and therefore will not match a mountain bikers average pace. Taking into account four top speeds the average is 84.9mph or 136.6km. The fastest is a world record at 138.7mph or 223.30km. On the lower end is 43.4mph or 70km. These speeds of course are for going downhill and only for the brave of heart. Yes, because you have a good idea of what to expect. You can use this information to help you choose a bike depending on your goals. Also you can keep track of your own average speeds in different situations to keep track of your progress and improve yourself. No, because there are many variables involved. The best way would be to compare two bikes using the same rider on the same trail in the same conditions. Look at the above averages as a general guideline to get started. Then keep track of your own averages and work to improve them.